If one thing is clear, is that epic fantasy and mythology movies are big in Hollywood. After all, movies like 2010’s Clash of the Titans have been big blockbusters, scoring at the box office even if they were not exactly loved by the critics. And director Zack Snyder’s epic fantasy 300 was also a big hit, even if the movie suffered from CGI overdose and actor Gerard Butler’s overacting, but it was an exciting ride overall. 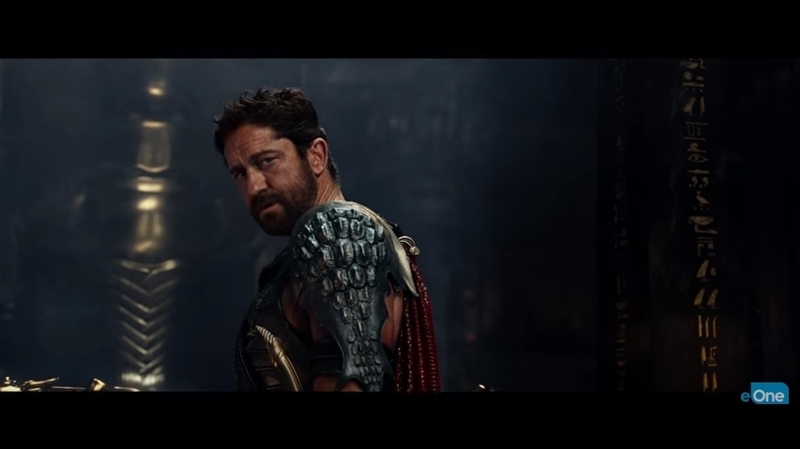 And the upcoming Gods of Egypt will also star Scottish actor Butler in the leading role, and will feature the same overblown CGI and over the top scenes as other movies of the genre, if the latest trailer for the film is anything to go by. The armies of Set are looking to take over the world in Gods of Egypt. The movie’s cast also includes Nikolaj Coster-Waldau, known for his role of Jaime Lannister in HBO’s series Game of Thrones, and Academy Award winning actor Geoffrey Rush also plays a supporting role. As for the movie’s plot, it is loosely based on the Osiris myth, which was certainly big in ancient Egyptian civilization. 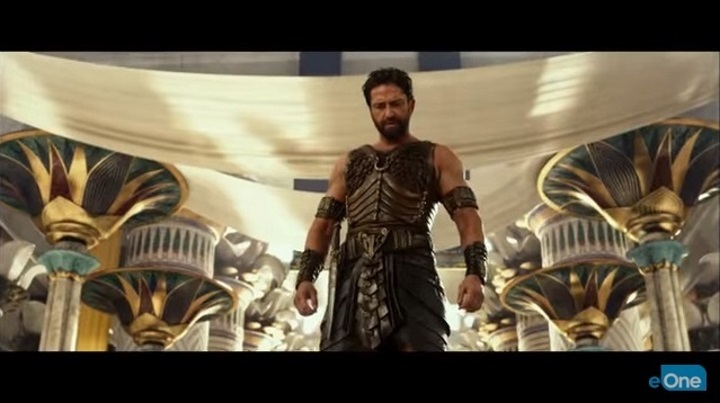 It involves the bitter fight between the god Set (Gerard Butler’s character in the movie) and Horus (Nikolaj Coster-Waldau), who in Egyptian mythology is posthumously conceived by his mother, after she brings the god Osiris back to life, who had been murdered by Set (his brother)… Although it is doubtful that the movie’s plot will be this contrived , and it remains to be seen what role Geoffrey Rush’s sun god character Ra will play in the movie’s version of Egyptian mythology. But more likely we will be seeing a straightforward confrontation between Set and Horus with a ton of superfluous but pretty-looking special effects thrown in for good measure, and not much focus on historical realism, as the movie has already been criticised due to the lack of diversity of its cast, taking into account the film’s North African setting. Although perhaps a pure fantasy movie like this is not to be taken seriously at all and just enjoyed on its own terms, as it’s just a blockbuster spectacle that will hopefully be as entertaining as earlier mythology movies like Clash of the Titans were.